Sarah Jindal is Senior Innovation and Insights Analyst, Beauty & Personal Care at Mintel. She lends her expertise to beauty clients in developing ingredient technologies. Niche beauty brands have cleverly used online channels and social media to outsmart industry giants and build huge followings of loyal consumers. Here, Mintel’s Sarah Jindal, Senior Innovation & Insights Analyst, Beauty & Personal Care, shares three lessons digital marketers can learn from indie brands, including innovative case studies that highlight brands in action. Reaching your audience doesn’t have to cost millions. With the reach and influence of social media and online marketing, even small, niche and independent brands are able to make a big splash. Social media is created and consumed in the blink of an eye, with a flexibility that allows brands to stay ahead of what the competition is doing. Hollywood haircare brand Ouai was started by hairstylist to the stars, Jen Atkin, as a way to disrupt the current haircare market. Targeting the ‘fast fashion,’ Zara-wearing crowd with chic, simple products for that ‘off duty’ model look is the vibe Ouai strives for and achieves. Creating selfie-worthy products was part of the goal. Social media’s influence is apparent across category, generation and geography. Creating a brand involves more than just formulation and packaging, a digital and social media strategy is critical. When creating Ouai and thinking about packaging, Atkin wanted it to be simple and chic, something the younger crowd wouldn’t be able to resist posting online. With over one million followers on Instagram and #Ouai having over 20,000 posts, she may have accomplished that goal. Being hairstylist to the most popular family on social media, the Kardashians/Jenners, certainly doesn’t hurt when comes to gaining influencer status. One Instagram post by Atkin of Kendall Jenner gained over 9,700 likes in one day. 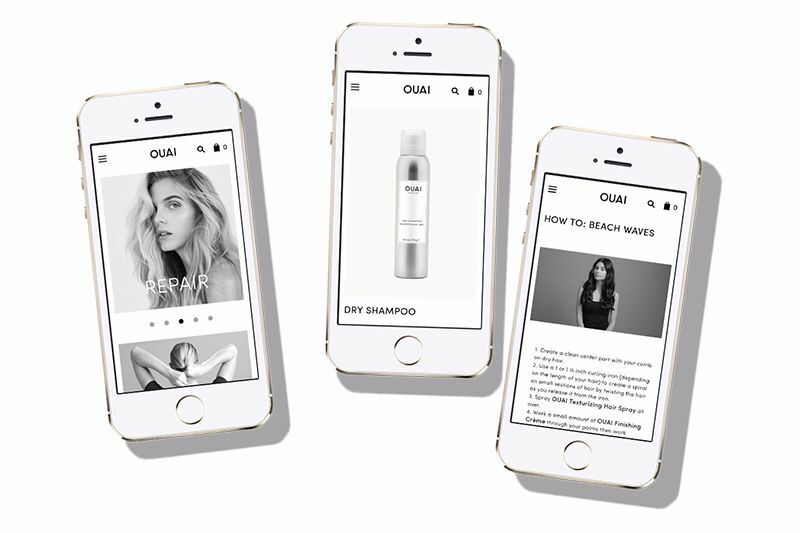 Another successful strategy implemented by Ouai is to create a mobile-native digital experience that comes across as much more than just an e-commerce site. In fact, the shopping part is almost secondary, with the focus being on the product and the look using how-to videos, as well as an opportunity to join the #OUAIsquad for exclusive content and promotions. This should be especially appealing to a majority of US iGens who say they prefer advertising that is entertaining without feeling like an ad. Check out Sarah’s other posts in this series here and here. Sarah Jindal is Senior Innovation and Insights Analyst, Beauty and Personal Care, at Mintel. In her role she regularly interfaces with key beauty clients and lends her expertise developing ingredient technologies for beauty and personal care.